It’s officially 2018 (where has the time gone)! 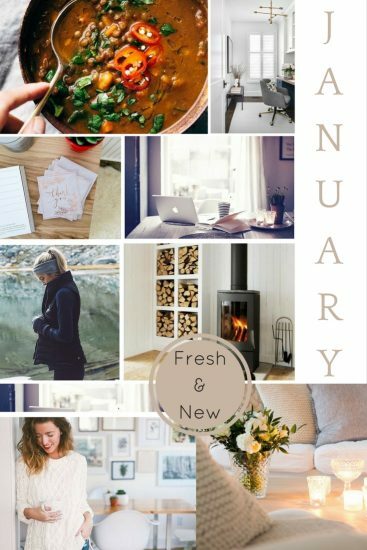 For us, January means so many lovely things; from getting our heads back in the game to setting some exciting goals for the coming months. One of our favourite things about January is the light. I know, I know – the weather is still pretty dreary, it’s still quite cold and we’re forced to huddle inside next to burning log burners wearing big jumpers, but the light is actually lasting a little bit longer every day. Allowing us a few more minutes of daylight does wonders for the moral and makes everything seem like it’s heading in the right direction. January is also the month of fresh starts. It’s the beginning of the year and many of us feel like now is the time to think about the achievements and differences we want in the months ahead. We are filled with the need to clean up our lives; whether literally clearing things out or simply taking a step back and reviewing where we are now and where we would like to be this time next year. Speaking of reviewing things, now is also the time of goal setting and new years resolutions. I know most, if not all of us, are guilty of letting many of our resolutions fall by the wayside but I hope this year whether you have vowed to have a healthier lifestyle, gain more clients and bookings or to spend more time appreciating the little things, you achieve it.